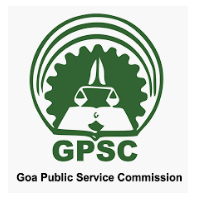 Goa PSC Recruitment 2019 – Goa Public Service Commission (GPSC) announced for posts of Programme Officer, Block Development Officer, Assistant Agricultural Officer, Planning Officer. The detailed eligibility and GPSC Recruitment application process are given below. Experience in Administration of training programme and teaching of not less than two years. Block Development Officer: Degree in any branch from a recognized University or equivalent. Assistant Agricultural Officer: Bachelor’s Degree in Agriculture/Horticulture from an Agricultural University recognised by the Indian Council of Agricultural Research. Planning Officer: Master’s Degree in Economics of a recognized University. Age limit: Below 45 years (Relaxation as per govt rules). The selection process will be based on the performance of Interview. Only shortlisted candidates will be called for Interview. How to apply Goa PSC Recruitment 2019 for Officers? All interested and eligible candidates can apply for this position in online latest by 26 April 2019. Date of Interview: Will be announced later.